If you have a small and cozy home, this does not mean that you can forget about the designs that you have always thought about. Consider this as a challenge because you need to make sure that your bedroom will still look presentable even if you are not sure how you are going to fit all of your furniture inside. Remember that arranging your furniture in some ways can still be easy as long as you will know how to arrange it properly. The most important thing to remember is to make sure that you will make the space livable and at the same time, the furniture should not take up space that will not allow you to move around properly. Have you ever wondered why a lot of people usually place their beds at the center of their walls? This is because this will help the rest of the space inside the room become maximized. By placing the bed at the center portion of your room, you are making your bed the focal point of your room as it should be. If you still have enough space on the side to walk around, you may want to play it up a bit by placing a rug if you can underneath the bed to add some design to your room. Placing a nightstand on the side of the bed or a lamp can also be effective to help balance the overall look of the room. If you have a big closet, you can be sure that placing some of the items that you do not need for decoration can be placed inside. 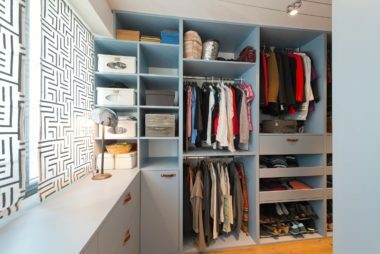 Not only will your closet act like your storage, you will have more space to walk around your room. Remember that this may not be too useful if you only have a small closet and you truly have to separate your storage from your closet. If the type of bed that you have allows you to place some items below, you may want to place your storage boxes under the bed instead. Not only will this allow you to maximize your space, you are also protecting the items that you have placed inside the storage box further. Just make sure to check underneath your bed from time to time to clean up the dust that may have accumulated there. You may think that you will not be able to use that coat hanger that you can usually place outside but what if it would also serve as piece that can hold all of your hats and your belts. If you know that you will not be hanging your coats and jackets there all the time, making sure that it has another purpose can make it more effective. Another great idea is to have a headboard that can also serve as storage for some of your books, your jewelry as well as other small items that you may want to collect. This will allow you to have a great looking bed that has a multi functional headboard as well. 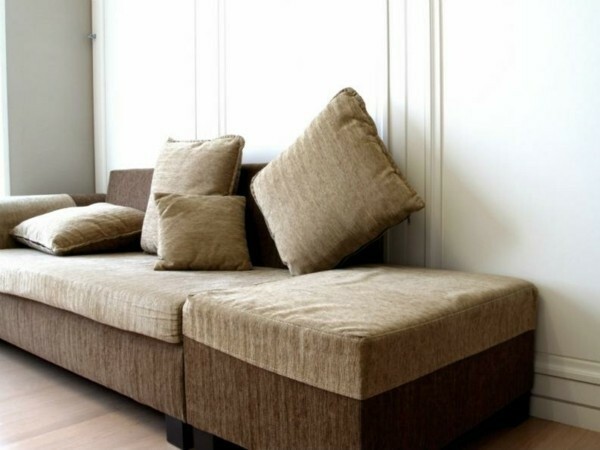 If you are living in a studio apartment, the best item that you can have that can be multipurpose is your sofa bed. In the morning, it can serve as a sofa that you can entertain guests in and at night, you will use it for sleeping. If your child has a small room, you have to make sure that you will still arrange it in such a way that your child will still feel comfortable in it. If you are going to place a small bed, it would be best to place the bed in the corner. This will allow other items to be placed in other portions of the room. Make sure that the bed will be in a corner farthest from the door in order to maximize the space. It is also important for your child to realize how important it is to have his/her room clean because this can affect the overall appearance of the room. If the room looks dirty, it will look smaller than usual and if it is clean, it will look better. Once you have arranged the bed that is the time when you can place the other items like the bookcase or a dresser for your child. If in case you need to stock up on a lot of items, you may want to place furniture that is as tall as the ceiling to maximize space. Just make sure that you will place the items that are not commonly used at the top shelf so you do not have to make a lot of effort into trying to get it whenever needed. Remember that how you are going to arrange your room will also depend on your preferences and what you plan to do. You have to make sure that you will also pay attention to the colors that you plan to color the room in so that the items that you will pick out as well as the floors and the walls will all complement each other. You would only have to live with furniture that you actually need. If there are some items that you do not need, do not place it inside your room as this can only add to the clutter of the place. Remember the smart tips mentioned above and you can still have a great bedroom.